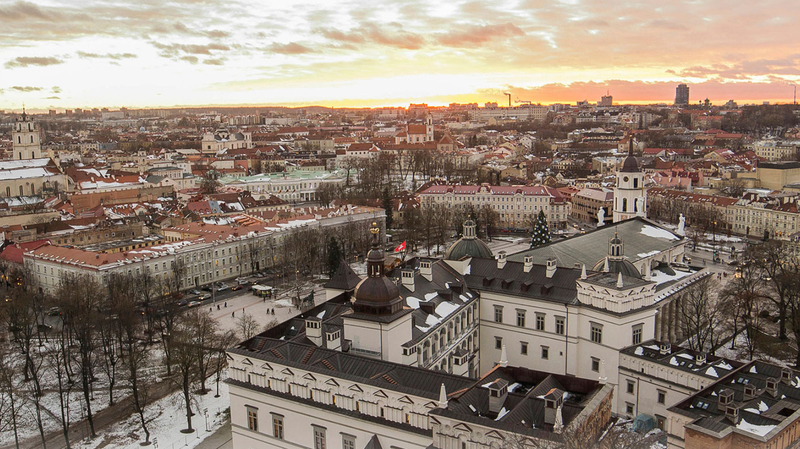 Search for the best flight prices from Stansted to Vilnius. Compare prices, book today and save money with Stansted Airport. Inspiring fairy tale architecture combined with an unbeatably decadent nightlife has cemented the Lithuanian capital’s reputation as one of the most enchanting cities in the world. Complete with bags of sophistication and an enthralling living history, visitors will step away from Vilnius wondering why they didn’t go earlier. Vilnius’ mix of picture-book architecture, stirring historical drama and fiery nightlife has made the Lithuanian capital a draw for everyone from cultural enthusiasts to long-weekend hedonists. Its overall appeal means it boasts some truly stylish properties, among them the 96-room Kempinski Hotel Cathedral Square (Universiteto g. 14), located right in the UNESCO-listed nucleus of the Old Town, and the similarly central Shakespeare Boutique Hotel (Bernardinu g. 8/8), which offers rooms in a converted 17th-century palace. For those looking for something with character but in a slightly lower price range, the rock music-themed Comfort Hotel LT (Mindaugo g. 27) is 10 minutes from the Old Town. A good number of the shops and businesses in the heart of the Old Town have at least one eye on the tourist trade, so if you’re after a souvenir or two you won’t have to look far. Amber jewellery is a classic Lithuanian keepsake – the resin itself being particularly prevalent in the Baltic area – and the shop at the Amber Museum Gallery (Šv Mykolo g. 8) is the obvious option for finding bona fide items. Elsewhere, the Jonas Bugailiškis workshop (Aušros Vart g. 17/10) sells quality handcrafts, while the enormous Gariūnai market (Gariūnai g. 68) is an open-air cornucopia of goods for sale. There are plenty of sophisticated dining options in town, including Italian restaurant Fiorentino (Universiteto g. 4), set in a courtyard and serving simple but delicious pasta dishes, and the modern Bistro 18 (Stikli? g.18), which offers up a menu full of tantalising Baltic-influenced dishes. The steady flow of locals at the Pilies Kepyklėlė café (Pilies g. 19) is testament to the quality of its coffee and cakes, while elsewhere on the same street, the Soprano ice-cream parlour (Pilies g. 3) also draws crowds. For a quality watering hole, try the wine list and tapas at the vaulted-ceiling La Bohème (Šv Ignoto g. 4/3). A vast day-long arts and crafts fair that also spills over into dance, music and song, Kaziukas Fair (‘Kaziuko Mugė’) takes place in and around Vilnius’ Old Town and has roots that stretch back as far as the 17th century. Goods for sale include knitwear and paintings. Since its inception at the start of the millennium, the New Baltic Dance Festival has hosted dance companies from some 25 different countries worldwide, bringing a vast range of different styles and performances to audiences in Vilnius. A programme of high-quality music lasting more than two months, the Christopher Summer Festival gives a platform for everything from classical recitals to avant-garde experimentation. Performances take place in religious buildings, manor houses and a variety of outdoor spaces. A great chance to see the capital in its full late-summer finery, the Vilnius Marathon draws spectators onto the streets as runners pound the 42km course, starting and ending close to Cathedral Square in the Old Town. A celebration of contemporary jazz in all its forms, the city’s much-respected jazz festival was founded in 1987 and involves four days of jam sessions, workshops and more formal performances. Musicians and ensembles travel from across Europe and further afield, many from the USA.